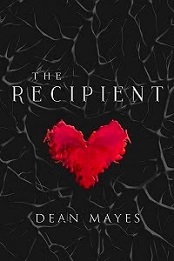 Dean from Australia: The Red Pill or The Blue Pill - Entering the world of Cryptocurrency. 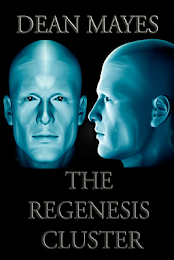 The Red Pill or The Blue Pill - Entering the world of Cryptocurrency. "Be curious. Read widely. Try new things. What people call intelligence just boils down to curiosity" - Aaron Swartz. I've been vaguely aware of the terms "blockchain" and "cryptocurrency" for several months now - probably since the beginning of 2017. Of course, "Bitcoin" is another term I've heard frequently, though my awareness of it, is older. My attention was drawn back to it, however - like most people I suspect - during the "WannaCry" hacking incident that occurred in May 2017. "WannaCry" was a global hacking attack in which corporate and government IT infrastructure was hacked and held for ransom by actors who demanded payment in Bitcoin before they would "release" their hold over affected systems. It caused all manner of mayhem for several weeks as institutions grappled with a crisis that crippled their networks. I think this incident, more than any other really, got me focused on the idea of digital currency. Rather than be scared of the idea of digital currency and how it could be used nefariously, I instead became more intrigued by it. What is this supposedly intangible thing? How does it work? I soon discovered that the world of blockchain technologies and cryptocurrency is one offering some pretty serious - if a little volatile - opportunities. Right now, there is a whole marketplace that trades in various forms of digital currency. Not only that, the idea that currency used to transact between individuals anywhere in the world - without the need for a third party like a bank - is one I think has the potential to be a game changer in our life time - and not only in the area of currency trading. I've dived in to the pool and I thought I'd share what I have discovered so far. Now, I will say up front that this is my own experience to date and a lot of what I describe will require you to do further reading. However, I encourage questions and feedback in the comments section. This will enable me to discuss my experience further and address things I may have left out. The process of getting started in digital currency investment and trading was daunting but, when I think back on it now, it was surprisingly easy. To begin trading, you need to visit an exchange, much like a share trading portal. 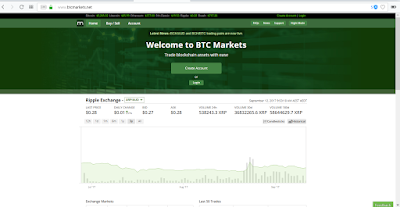 For me, I began with the Australian based BTCMarkets website. Established in 2015, BTCMarkets has become recognized globally as a trusted exchange offering a secure trading environment where individuals can buy and sell various digital currencies. I registered and account, provided my details and verified my identity, and I followed the recommendations that would enable two factor authentication for my account. This is an added layer of security that is designed to protect you and it is well worth doing - especially given that you are dealing with actual money. 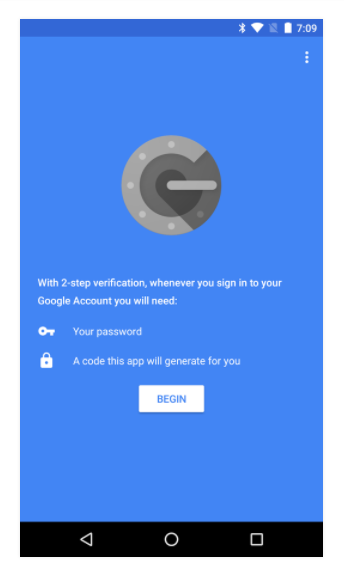 Google offers a two factor authentication app that you can download to a smart phone. The app generates a six figure number that you then input into the relevant pane on the BTCMarkets login screen. You need to do this quickly, as the app generates a new number sequence within around 20 seconds that invalidates the previous sequence. 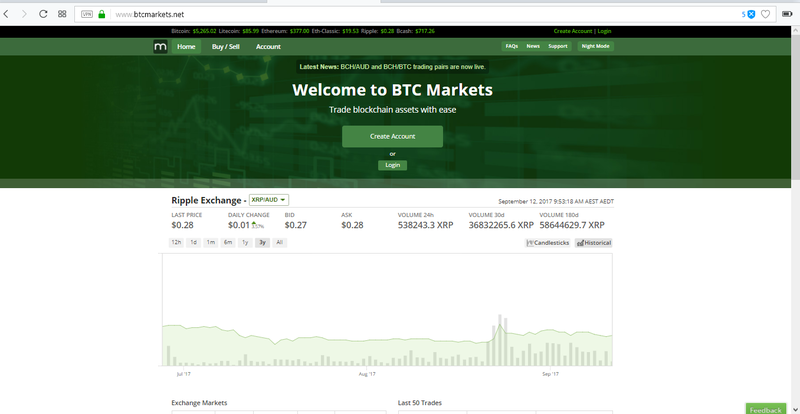 Splash page for BTCMarkets (image credit: BTCMarkets). 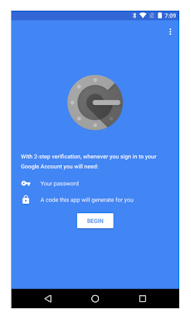 Google Authenticator for Android (image credit: Google Play). Once set up, I then proceeded to the site's facility that would allow me to deposit money from my bank account to my trading account. BTCMarkets accepts deposits from certain banks and fortunately for me, my bank was listed. 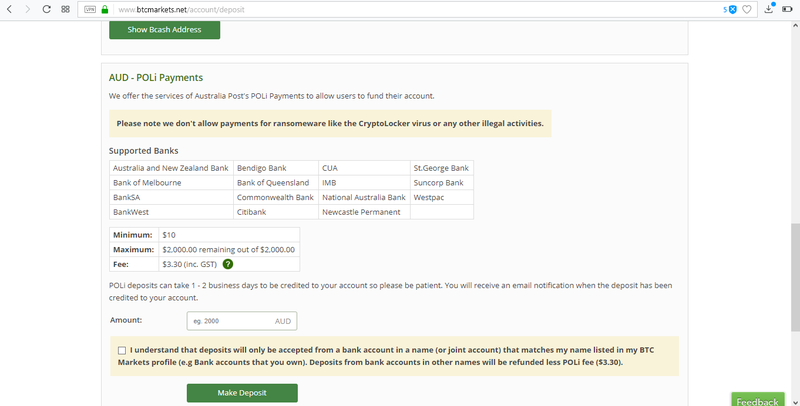 In order to facilitate the transfer, BTCMarkets partners with Australia Post's POLi Payments. POLi payments allows for immediate deposits from participating banks into trading accounts and I was impressed at just how quickly the transfer took place. BTCMarkets deposit screen (image credit: BTCMarkets). With my trading account funded, I was ready to purchase some currency. There is a dizzying amount of currencies being traded on exchanges like BTCMarkets but as an newcomer, I was influenced primarily by what I could afford. The well known Bitcoin currency is currently (as I write this) worth $5300AUD - just one Bitcoin! I told myself right away, I am never going to be able to afford that. The next most prominent currency is Ethereum, which is currently trading at $380AUD - still out of my league with the paltry $50AUD I deposited into my account. I was quickly drawn to a third currency called Ripple, or XRP as it is known. At around 0.28 cents Australian, it was obviously the most affordable but I was interested in why it was ranked so highly on the BTCMarkets charts. Before purchasing, I undertook a little research to find out just what XRP actually is and I discovered there is a sound corporate entity underpinning it. Ripple corporate logo (image credit: Ripple Labs). Ripple is a San Francisco based company, which has developed a software solution to make transactions between financial institutions in different countries quicker. As it stands presently, sending money to someone overseas is a laborious task, involving multiple steps and it costs - both in time and money. Ripple's software solution allows participating institutions to process payments in a matter of seconds, regardless of where they are in the world, and it works in tandem with the cryptocurrency XRP. The following video, from Ripple, explains this process in a little more detail. Ripple - the company - has been around since around 2012 but it has emerged as a major player in the cryptocurrency space, not only through its partnerships with banks but also with its XRP currency, which has grown in value exponentially since the start of 2017. I quickly decided this was the currency I was going to begin with. 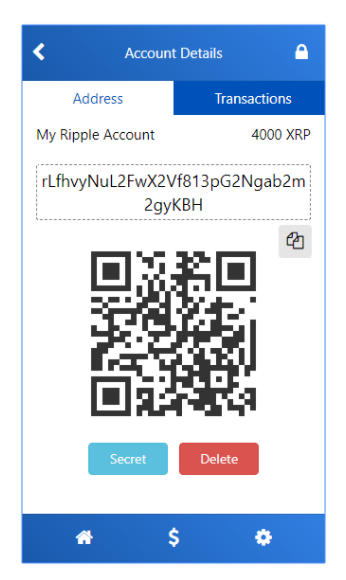 I made a purchase, a quick and easy process, and confirmed that I was now the owner of a small tranche of XRP. BTCMarkets says on their site that they can hold the XRP in my trading account indefinitely, but they did recommended I consider a longer term storage solution for my XRP off-site, as a secure option. This is the point at which I was introduced to the concept of wallet storage. A digital wallet is as its name suggests, a secure storage solution for your currency. It doesn't exist as a tangible object per se, although it does exist as a piece of software and there are many providers of wallet solutions out there. Again, as a newcomer to this, I wanted to begin with a wallet that would offer security and be easy to use and, after a search, I found one that ticked those boxes. 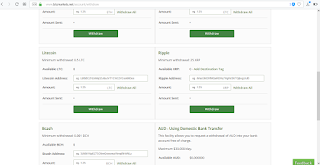 Toast Wallet, designed specifically with Ripple's XRP in mind, is one such solution that is free to use and relatively easy to set up. 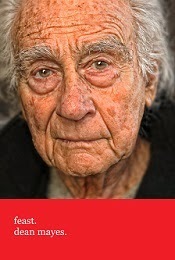 I downloaded mine through Google Play and followed the set up instructions that included recommendations for enhancing the security of my account. 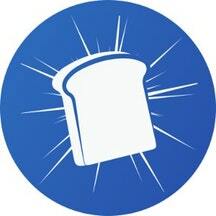 Toast Wallet logo (image credit: StarStone Ltd). Once I set my wallet up, I was introduced to another new concept - that being the idea of public and private keys. These are the two things that make transferring cryptocurrency possible, where the public key is basically like my public address or the address that I share with others so they can make payments of currency to me. The private key, is my proof of identity and must be kept secret because it allows access to my wallet account in case I were ever to lose it - say, in the instance of deleting the app from my current phone and restoring it to another. Both keys are just a string of alpha-numeric characters much like in the following image. It's worth noting here that, in the case of Ripple's XRP, any public key assigned to a holder of XRP is always going to begin with the letter 'r', while the private key will always begin with the letter 's'. This is important because you never want to be caught inadvertently sharing your private key with anyone. The common advice given with respect to private keys is to write your private key down on paper and then secure that piece of paper so that only you can access it. To initiate a transfer of fund from my BTCMarkets trading account, I copied the public key from within the Toast Wallet app and pasted it into the withdrawal pane in my BTCMarkets. 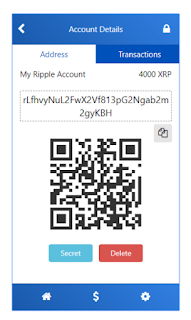 Toast Wallet's UI featuring a Ripple public address (image credit Google Play/StarStone Ltd). 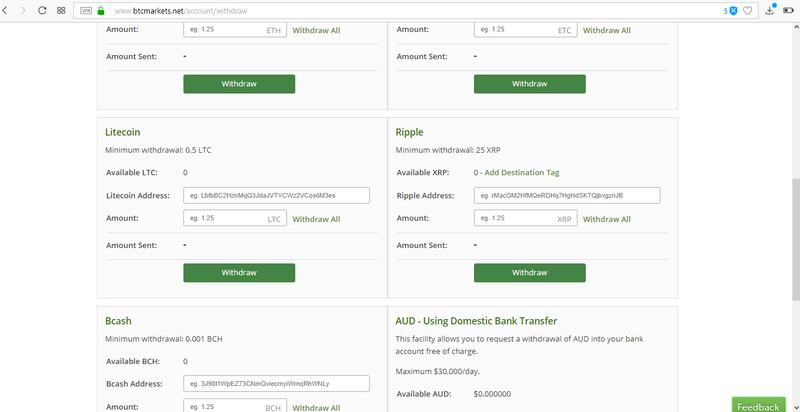 My BTCMarkets account's withdrawal screen where the wallet public address is pasted (image credit BTCMarkets). BTCMarkets will prompt you to ensure your public address is correct, after which you hit the withdraw button and the process is complete. BTCMarkets say that this withdrawal should take no longer than 5 minutes, however they do add that it can take longer if they need to verify security parameters associated with the transfer. My experience so far has been variable. Out of three withdrawals I've made to my external wallet, two have taken up to 8 hours. I don't know why that has been the case, but they've gone through nonetheless. So, I now have the tools to trade in cryptocurrency. I have a secure storage solution for my XRP and I have embarked on a journey of discovery into the world of blockchain technologies, digital currency and - for me - a new kind of investment that is undoubtedly exciting, even if it is volatile. 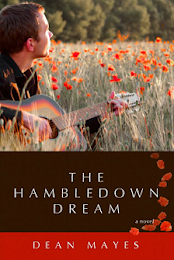 At the outset, I felt alone and isolated in this endeavor. Certainly, there remains a lot of mainstream antipathy towards cryptocurrency, which is based in part, on a lack of real knowledge around it. People in my sphere - family and friends most certainly haven't heard about it and any conversations I've had have been met with blank stares and or blinks of suspicion. But there is a vast community of cryptocurrency investors out there, as well as communities where vibrant discussions are taking place around currency, blockchain technologies and the opportunities that are reportedly just around the corner. I've signed up with one such community - XRP Chat - and I've been able to learn a lot in a short space of time. Of course, portals like Twitter have proven valuable as well and I've connected with a few people there who offer authoritative discourse on Ripple, XRP and the cryptocurrency space more broadly. All of the established rules of investing and trading apply and I'm cognizant of those as I move forward. For now, I intend to take a watch and learn approach. There is a lot of buzz around Ripple - the company and the currency - but I will ignore most of it and instead focus on what comes out from the company itself as well as reputable news sources. I'm really pleased I've made this discovery. I'm a curious mind and I'm willing to try new things and I can see the potential in blockchain technologies. The Snore Of Destiny Part Quatre.